Compatible with thousands of sensors covering level, temperature, pressure, flow, wind speed and direction, vibration, humidity and more. Easy to set up with no coding either in-situ or remotely. 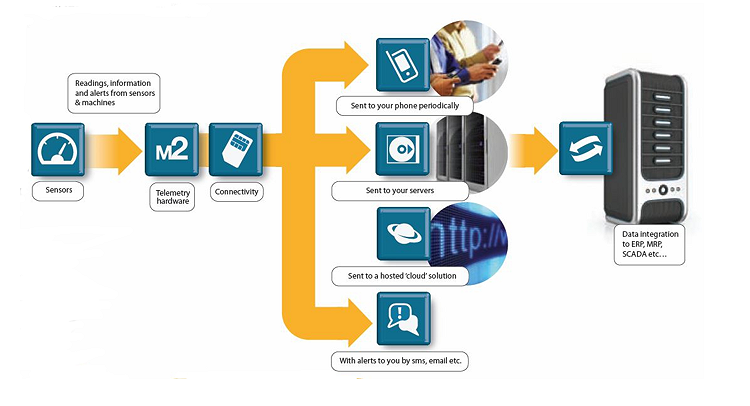 Receive information direct to your phone or log data to a central server which can be accessed from the internet. 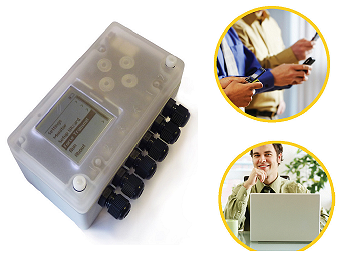 Monitor your remote tanks, process or machines. In fact almost anything that you can fit a switch or sensor to!